by Shefali Malhotra, Ila Patnaik, Shubho Roy and Ajay Shah. India's National Health Protection Scheme (NHPS) aims to be the world's largest government-funded health insurance programme. As in the existing government-funded health insurance schemes, health insurance companies are likely to play a crucial role in the implementation of NHPS. In addition, the number of Indians purchasing health insurance (on their own) has grown in the past few years. Of the total out-of-pocket expenditure (80% of the total health expenditure), payments for health insurance premium have increased from 5.28% in 2013-14 to 6.51% in 2015-16. However, all is not well in this growing industry. This has raised concerns of fair play and efficiency in the industry. While there is some literature on consumer protection concerns in the overall insurance industry, the existing literature on the health insurance industry in India is sparse. In a new paper, Fair play in Indian health insurance, we study the functioning of this industry through an analysis of the claims ratio and the complaints rate. Efficiency in the insurance market is commonly measured through the claims ratio. The claims ratio is defined as the percentage of the total premium collected that is paid out as claims by an insurer. Claims ratio close to (but less than) 100% indicates that the insurer is efficient (low operating costs). Claims ratio above 100% indicates that the insurance company is paying more than it is collecting as premium. This implies that the insurance company is unsustainable and may go bankrupt. When the claims ratio is too low, there are concerns about consumer protection. It indicates that the insurer is charging too much from the consumers. 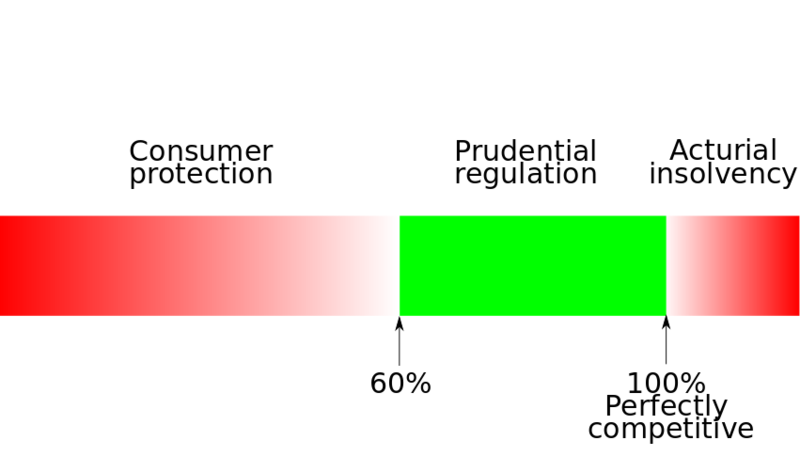 Figure 1 shows the range of claims ratio that insurance regulators use as an indicator for the insurer's quality. Fig 1. - Regulatory concerns associated with the claims ratio. Our analysis of the claims ratio shows that the functioning of the Indian health industry is neither desirable nor sustainable. A part of the industry, the private stand-alone health insurers, appear to be overcharging its consumers. Between 2013 and 2016, the claims ratio of these insurers fell from 67% to 58%. Such low claims would have triggered mandatory refunds if these insurers were operating in the US. However, there are no regulations mandating minimum claims ratio in India. Another part of the industry, the government insurers, suffers from financial fragility. Group insurance businesses and government-funded health insurance schemes also raise concerns related to insolvency. 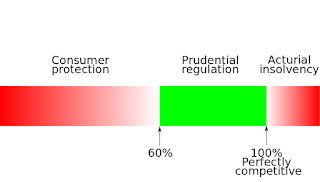 We conclude that the evidence from claims ratio raises concerns about consumer protection and micro prudential regulation. In addition to the claims ratio, the complaints rate is used to measure the quality of products in the insurance industry. The complaints rate is the number of complaints made by consumers of insurance (to a third party) in a year per million persons covered. Our analysis of the complaints rate shows that India has the highest complaints rate when compared with other common law jurisdictions: Canada, Australia, UK and California. This finding is probably conservative for two reasons. First, unlike other jurisdictions, Indian health insurance only covers hospitalisation. In addition to hospitalisation, other jurisdictions provide clinical visits, medication and some wellness care under health insurance. Thus, increasing the number of touch points and transactions, where failures can generate complaints. Second, India is a less litigious country than other jurisdictions. So, we must adjust the Indian complaints rate with the litigation rate (civil suits filed per hundred thousand persons). Table 1 is our estimation of the complaints rate in India and the compared jurisdictions for 2015-16. The last column is our estimation of India's litigation rate adjusted complaints rate (Column 3). When we investigate the sources of these problems, they are traced to infirmities in the regulatory framework governing the health insurance industry. We identify three issues in the regulatory framework. The first issue is deficiencies in the existing regulations. For example, the regulations are not clear on disclosures that insurance companies should make to its consumers, the manner in which disclosures should be made and the procedure for settlement of claims. The second issue is poor enforcement of existing regulations. The insurance regulator and the insurance companies seem to easily bypass their obligations under the regulations without any repercussions. The third issue is fundamental deficiencies in the design of the insurance ombudsman, in so far as its offices and day to day administration is controlled by the insurance industry. We then engage in a comparative law analysis, where each of these issues is analysed with respect to the legal systems of Australia, South Africa, US and UK. Finally, we turn to existing strategies for reform in the Indian insurance sector. Financial Sector Legislative Reforms Commission, provides insights into the approach to consumer protection for financial services. The report comprises of two volumes. Volume I is "Analysis and Recommendation". Volume II is the "Indian Financial Code", a model law for the regulation of the financial sector. We engage in counter-factual analysis of the three identified issues in a hypothetical world, where the Indian Financial Code was enacted. We find that all the three issues are suitably addressed. We conclude that the Financial Sector Legislative Reforms Commission, provides an intellectual framework through which the problems of health insurance can be understood and solved. Implementation of these measures will have positive implications for health insurance in India. On March 20, 2018, a two-judge bench of the Supreme Court of India issued directions under The Scheduled Castes and the Scheduled Tribes (Prevention of Atrocities) Act, 1989 (The Act). This judgment was met with nation-wide protests from the members of the marginalised communities, resulting in violence. Over a dozen dalits lost their lives in the Bharat Bandh on April 2, 2018. The judgment had tinkered with protections of the dalits which they had under special laws which the Parliament has enacted during V. P. Singh’s government. "Although many of these offences could probably be covered under the normal law of the land, we are witnessing today a difference in degree which calls for differentiation in kind in respect of these offences." We should recognise the discrimination that they are subject to: Equal pay for equal work is denied to them. It was felt that a special legislation is necessary to check the atrocities that are conducted with impunity. As part of this, the Parliament felt that the grant of anticipatory bail was an area of concern: under this special law, the concept of bail before arrest shall not be applicable. In some parts of India, there is increasing integration between castes. But, ironically, in some parts of the India, the socio-economic development of dalits is giving increased conflict. When dalits assert their rights, resist practices of untouchability, refuse to do bonded work, etc., this irritates their oppressors. The problems are alive and well. As a consequence, the Parliament has repeatedly amended the Act, including punishments for interfering with voting by dalits, intimidation from performing official duties in panchayats, economic boycott, filing malicious cases, denial of access, obstruction in the use of common property, etc. As part of this approach, the Modi administration did not modify the treatment of anticipatory bail by an alleged wrongdoer. To summarise, this is not an oversight on the part of the Parliament. The Parliament consciously and deliberately, expressly excluded the grant of pre-arrest bail for alleged offenders, in S. 18 of the Act. The Supreme Court recently has reversed this. I would like to humbly suggest that the august Supreme Court has not only erred in law, but chosen to not follow its own previous judgements, and thus breached judicial discipline. In the present judgment, the petitioner contended that the provisions in the Act are being abused and the FIR registered against him should be quashed. Quashing the case against the petitioner, the court acknowledged the abuse of law of arrest and clarified that there is no absolute bar against grant of anticipatory bail under the Act. It then directed that no arrest can be made under the Act before approval of designated authorities. A provision of preliminary enquiry to be conducted by a Deputy Superintendent of Police (DSP) to ensure the allegations are not frivolous or motivated has also been introduced through the judgment. The government has asked for a review. In this case, there was no challenge to the constitutionality or validity of S.18. Yet, the Supreme Court gave a judgment that a dominant member of the community shall not be arrested unless a senior police officer (DSP) or senior government officer states in writing that his arrest be made. Dr. Mahajan’s case concerned quashing an FIR only; he stated that he had passed an administrative order which did not constitute any offence. The Supreme Court has given sweeping directions on pre-arrest bail, and how arrest shall be made, using arguments based on Art. 21 (right to life). These directions, however, expressly conflict with the statute. They are contrary to the earlier judgments in Ram Krisnna, Manju Devi and a five judge bench decision in Kartar Singh, popularly known as the TADA case. In these cases, the Supreme Court has clearly stated that anticipatory bail is not a guaranteed right under Art. 21, and that denial of it in the atrocity act is not arbitrary and violative of Art. 14 (equal treatment), as this is a special law and forms a different class which protects the meekest of the meek. ​Faced with this set of precedents, the Supreme Court should have observed the judicial discipline of `Binding Precedents'. This yields consistency and stability in the administration of Law. Without this, if each Court is left free to pursue its views regardless of previous judgments of their own peers in an hierarchal system, the result will be chaotic. The doctrine of precedent is thus an indispensable foundation of the system of common law, and should be scrupulously followed. In interpreting the Law, Courts cannot add, alter or subtract a single word, especially when the literal reading of the same produces an Intelligible result. If this principle is not followed, then Courts run the risk of veering into legislation. This golden rule of interpretation of statutes, right from Maxwell’s times, has been followed in all common law countries. The Supreme Court should then bow to the text of the law that the Parliament has laid down. In the past, all superior courts have held that the legislature knew exactly what they said, and even if it is badly drafted, their Lordships will not carry out any amendments. The National Institute of Public Finance and Policy (NIPFP) is looking to hire researcher(s) on a full-time basis. Our work is inter-disciplinary, bringing together knowledge of public economics, public administration, law, and quantitative research. There is a great collision taking place between the development of science and technology, and the public policy process. In the Technology Policy group at NIPFP, we aspire to understand cutting edge issues in the field, develop novel ideas and insights, and contribute to the policy process. While our aspirations extend to a broad array of issues in the overall landscape of technology policy, at present, our work is primarily in telecom policy, privacy, Aadhaar, open data, open APIs, open source, RegTech, distributed ledger and crypto-currencies, and competition policy. Suyash Rai, Dhiraj Muttreja, Sudipto Banerjee and Mayank Mishra The Economics of Releasing the V-band and and E-band Spectrum in India, April 2018. Smriti Parsheera, CCI's order against Google: infant steps or a coming-of-age moment?, Ajay Shah's blog, February 22, 2018. Submissions to the Justice Srikrishna Committee's White Paper on Data Protection. Ashim Kapoor, Smriti Parsheera, Faiza Rahman and Rachna Sharma supported the Telecom Regulatory Authority of India in the preparation of the White paper on measurement of wireless data speeds, February 5, 2018. Vinod Kotwal, Smriti Parsheera, Amba Kak, Open data and digital identity: Lessons for Aadhaar, ITU Kaleidoscope: Challenges for a Data-Driven Society, Conference held in Nanjing, China, November 27-29, 2017. Ajay Shah, Predatory pricing and the telecom sector, April 3, 2017 and Smriti Parsheera, Building blocks of Jio's predatory pricing analysis, April 27, 2017 on Ajay Shah's blog. Smriti Parsheera, Ajay Shah and Avirup Bose, Competition Issues in India's Online Economy, NIPFP Working Paper No. 194, April, 2017. Amba Kak, Mayank Mishra and Smriti Parsheera, TRAI's consultation towards a net neutrality framework in India, January 23, 2017. Requirements: You must have a Masters degree, two years of work experience, very strong written and spoken English. You must have a background in science/engineering/technology, public economics or public policy. Keen and demonstrated knowledge in areas relating to the frontiers of science and technology is a must. The great bank fiddle by Manish Sabharwal in The Indian Express, April 16, 2018. A Guide to Getting Along in Putin's Russia by Maxim Trudolyubov in The New York Times, April 16, 2018. The wrinkles beneath the RBI's cheery disposition by Rajrishi Singhal in Mint, April 16, 2018. Indian currency manipulation by Ajay Shah in Business Standard, April 16, 2018. RBI's powers over PSBs: What's the truth? - II by Debashis Basu in Business Standard, April 16, 2018. Michael Cohen and the End Stage of the Trump Presidency by Adam Davidson in The New Yorker, April 14, 2018. Can RBI press for open currency? by Devangshu Datta in Business Standard, April 13, 2018. Is SEBI being a nanny to investors? by Aarati Krishnan in Business Line, April 12, 2018. Not fair: Finance Commission's terms of reference stray from propriety in Business Standard, April 11, 2018. Walking the digital financial tightrope by Gangesh Varma & Rajat Kathuria in Business Standard, April 11, 2018. Further liberalise derivatives market in The Economic Times, April 10, 2018. Fear of virtual currencies by Vaibhav Parikh & Arvind Ravindranath in Business Standard, April 9, 2018. The Four Challenges Before NCLT And Why Losers Must Not Become Winners by R Jagannathan in Swarajya, April 9, 2018. When the supervisor slept by Ila Patnaik in The Indian Express, April 9, 2018. Unicorns of the Intellectual Right by Paul Krugman in The New York Times, April 8, 2018. Addressing the insolvency code's many dilemmas in Mint, April 8, 2018. Can someone ask India's central banker some tough questions please? by Sriram Iyer in Quartz, April 6, 2018. Also see: The undersupply of criticism by Ajay Shah in Ajay Shah's Blog, May 21, 2010. The monetary policy committee report by Raghuvir Srinivasan in Business Line, April 5, 2018. Confidence in the House by M.R. Madhavan in The Hindu, April 5, 2018. Failing the law by Kapil Sibal in The Indian Express, April 5, 2018. Sebi is at it again. NSE, BSE investors can't ignore regulatory risks by Mobis Philipose in Mint, April 5, 2018. RBI's move to allow banks to downplay treasury losses can hurt investors in Business Line, April 4, 2018. We at NIPFP are looking to hire Research Programmers on a full-time basis. We have many large datasets which require management. We design and build APIs that govern data access. We engage in high performance computation to statistically analyse these datasets. The tools involved here are Linux, MySQL, R, time-series analysis, longitudinal data analysis and geo-spatial analysis [example], machine learning. We are at the frontiers of R programming including releasing open source R packages [fxregime, eventstudies]. Research programmers are expected to choose the appropriate tools through research and small proof-of-concept, implement tools including API design, engage in devops for live systems, build applications that utilise the tools, communicate tools to researchers who have an economics/statistics background, and support the optimal use of tools by these researchers. This covers the full pipeline of the data science process: Choice of tools -> establish infrastructure -> manage data -> build analytical tools -> presentation. Research programmers will work on building devices for measurement of weather, air quality, mosquitoes, etc [example]. NIPFP has a work program on technology policy and research programmers will get involved in work on issues such as net neutrality, privacy, drones, etc. NIPFP is an exciting workplace where you will be surrounded by interesting people. The remuneration will be commensurate with the candidate's experience and will be comparable with what is found in other research institutions. Legal challenges could undermine IBC, by Bahram N. Vakil and Kaushik Krishnan, in the Business Standard, April 3, 2018. A radical proposal to keep your personal data safe by Richard Stallman, in The Guardian, 3 April, 2018. Dangers of the `lynch mob' mentality by Sarim Naved, in the Hindu Business Line, April 3, 2018. ICICI Bank-Videocon 'sweet deal': RBI must tell us whats going on by Suyash Rai in The Indian Express, April 2, 2018. RBI's powers over PSBs: What's the truth? - I by Debashis Basu in Business Standard, April 2, 2018. Public sector style anti-corruption is not appropriate for private firms by Ajay Shah in Business Standard, April 2, 2018. Too Many Unnatural Deaths: The Gir’s Asiatic Lion Needs a 2nd Home by Rahul Nair and Aishwarya S. Iyer, TheQuint, 31 March 2018. How Iran Used the Hezbollah Model to Dominate Iraq and Syria by Ranj Alaaldin in The New York Times, March 30, 2018. It's Time for an RSS Revival by Brian Barrett in Wired, March 30, 2018. Also see: Some suggestions for the guys building RSS feeds and feedreaders in Ajay Shah's Blog, October 1, 2006. IBBI's draft framework sets new standards of regulatory governance in India by Bhargavi Zaveri in Business Standard, March 29, 2018.vAlso see: Regulatory responsiveness in India: A normative and empirical framework for assessment by Anirudh Burman, Bhargavi Zaveri in IGIDR Working Paper, July 2016. How Chromebooks became the go-to laptops for security experts by Alfred Ng in Cnet, March 28, 2018. A Math Whiz Has Become a Crucial Political Figure in France by Helene Fouquet and Marie Mawad in Bloomberg, March 28, 2018. Why everyone loves Israel now by Shai Feldman and Tamara Cofman Wittes in Brookings, March 26, 2018. How Calls for Privacy May Upend Business for Facebook and Google by By David Streitfeld, Natasha Singer and Steven Erlanger in The New York Times, March 24, 2018. Shining a Cleansing Light on China's Dark Secrets by Jane Perlez in The New York Times, March 23, 2018. PSU bank privatization is not a panacea for the ills of the banking sector by Rajeswari Sengupta and Shubho Roy in Mint, March 22, 2018. Liberal World Order, R.I.P. by Richard N. Haass in Project Syndicate, March 21, 2018. Urjit Patel Is Half Right: Accountability Is The Real Fugitive by Shankkar Aiyar in Bloomberg, March 17, 2018. The Double Helix of Chinese History by Denise Y. Ho in Project Syndicate, March 15, 2018. When ideology overcame sense: RTE imposes a bureaucratic, grotesquely inefficient regime starving our children of good education by Geeta Kingdon in The Times of India, March 13, 2018.